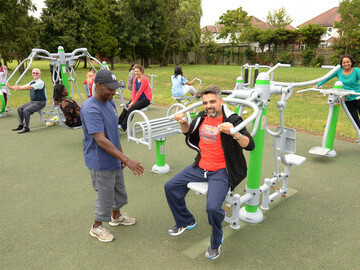 The London Marathon Charitable Trust has announced its first UK-wide funding programme with an innovative Active Spaces partnership with Fields in Trust to safeguard the future of green spaces across the UK and to encourage people, particularly the most inactive communities, to participate in physical activity, sport and play. The Trust has set aside £675,000 in 2017/18 to safeguard 50 green spaces in perpetuity and to fund activation programmes on those sites. Through the partnership with Fields in Trust, the green spaces will be protected from development by funding from The Trust. In addition, each site will be awarded a grant of up to £5,000 by The Trust to fund programmes that inspire the local community to get active. Programmes can include any activity including walking, cycling or coaching on the use of outdoor gym equipment. One chosen site in each home nation (England, Northern Ireland, Scotland and Wales) which demonstrates the most significant impact will receive a major grant of £25,000 for its activation programme. Landowners and communities across the UK can now apply online to protect a site and to secure funding for activation programmes at www.bit.ly/Active-Spaces. Sites will be selected for support following an assessment of the proposed activation programme. The London Marathon Charitable Trust was created in 1981 by Chris Brasher and John Disley, the founders of the London Marathon. Their vision ensured that the profits from the race, and future events organised by London Marathon Events Ltd, would go to The London Marathon Charitable Trust in perpetuity. To date, The London Marathon Charitable Trust has awarded grants totalling in excess of £66 million to more than 1,190 projects in London, Surrey and other areas where London Marathon Events Ltd has organised events. This partnership with Fields in Trust is the first programme that extends beyond those areas to reach communities across the UK. Belfast City Council is protecting Cregagh Green, an open space in the heart of a large housing development - the site where George Best was spotted playing football as a teenage “genius”. Future generations will now be able to enjoy outdoor sport and recreation on this historic pitch. Rhondda Cynon Taf County Borough council have designated Gelligaled Park, Ystrad Rhondda as their Active Space; the council will be co-ordinating a physical activity programme for local residents in an area with the lowest levels of activity in Wales. Roskear Recreation Ground in Camborne, Cornwall is currently under-used yet serves an expanding community with few alternative opportunities for sport and physical activity. 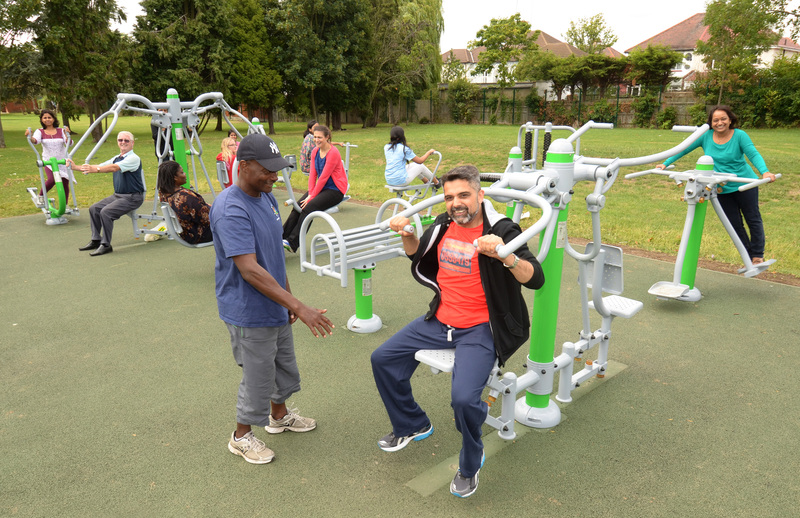 A new strategy will improve local facilities and attract all ages to become more physically active in this area in which people who are worst off experience poorer health and shorter lives. In Kings Lynn, Norfolk, the River Lane Sports Pitches were earmarked for a new road and housing development but the local residents association campaigned for the council to safeguard this site with Fields in Trust ensuring access for recreation. Levels of physical inactivity in Kings Lynn are higher than both the regional and national average and a new programme is being developed to engage inactive members of the community. Pilton Park West is owned by the City of Edinburgh Council. The park is located in an area of multiple deprivation, (Scottish IMD 2016). 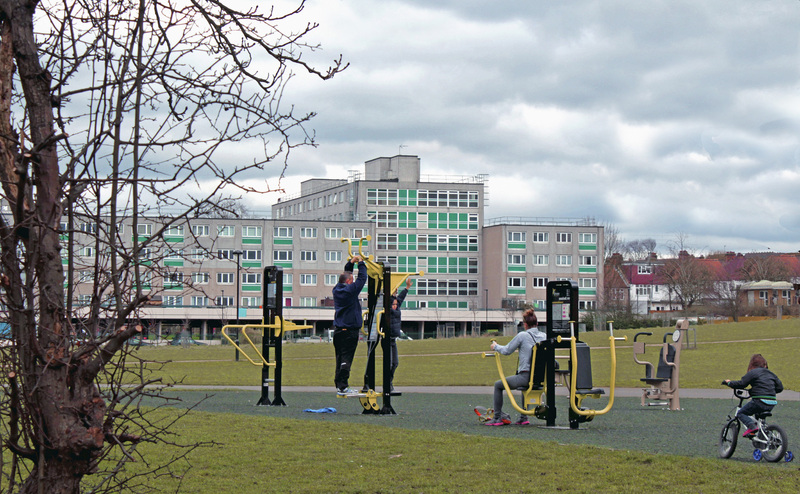 A physical activity “boot camp” run by Edinburgh and Lothian Greenspace Trust will work with the recently establish parks friends group, to improve physical activity whilst building community connections. Mansfield District Council, Nottinghamshire is amongst the 12% most deprived areas in England; Forest Road Playing Fields is going to be the site of intergenerational sports coaching – supporting families to enjoy sport and exercise together. Fields in Trust currently safeguards over 2,600 sites, a total of 30,000 acres of land (12,140ha.) 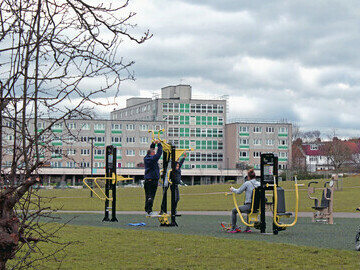 including playgrounds, playing fields, and formal and informal parkland across the UK. Recreational spaces in residential areas remain a priority for protection at a time when there is pressure on land for new housing development. Parks and playing fields safeguarded with a Fields in Trust deed of dedication ensure that the land will be protected for community use, in perpetuity. Fields in Trust believe that all communities, and particularly young people, should be able to enjoy healthy, active, outdoor recreation within walking distance of home. Chief Executive of Fields in Trust, Helen Griffiths said: “We believe the best way to protect our green spaces is for communities to get out and use them; this programme will activate new groups of users to enjoy local parks and playing fields. We will identify sites which are well loved by their communities and protect these spaces forever. The associated activity on site can help catalyse a local community to use their recreational space and get active. The London Marathon Charitable Trust was created in 1981 by London Marathon founders Chris Brasher and John Disley. Their vision ensured that the profits from the race, and future events organised by London Marathon Events Ltd, would go to The London Marathon Charitable Trust in perpetuity. Fields in Trust is a national charity that operates throughout the UK to safeguard recreational spaces and campaign for better statutory protection for all kinds of outdoor sites. To date, LMCT has awarded grants totalling in excess of £66 million to more than 1,190 projects in London, Surrey and other areas where London Marathon Events Ltd has organised events. London Marathon Events Ltd donates 100% of its profits to The Trust. Founded in 1925 as the National Playing Fields Association by King George V, their mission is the same now as it was then: to ensure that everyone – young or old, able-bodied or disabled and wherever they live – should have access to free, local outdoor space for sport, play and recreation. These spaces are vital to building happy and healthy communities and sadly continue to be threatened by all kinds of development.